It’s raining heavily today, so there’s no point even trying to go outside into the garden, but if there’s a plus point to such dreadful weather then it does – at least temporarily – make people aware of what’s under their feet. Soil tends to be forgotten until it turns into mud, or you squelch along through sodden grass, or watch priceless fertility washed down the drain. Weather like this shows us the importance of winter soil care, particularly keeping soil covered (even if all you have is weeds!) so that plant roots can hold it all together for you. All of my raised beds, bar one, are planted. 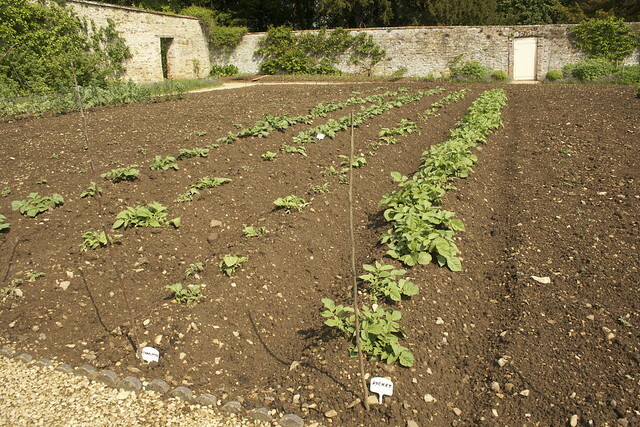 Some contain perennial crops, some have been planted with winter crops. One is still harbouring oca and ulluco (still hanging on, but only just). Over the weekend I cleared the one that had held sweetcorn and assorted summer things; its soil is currently being hammered by rain, although of course it can’t go anywhere. Later in the week I’ll be planting it up with the garlic. As any organic gardener will tell you, soil does more than hold plants up – improving your soil is the key to getting healthy and abundant crops, so let’s take a look at soil improvement basics. As you can see from the flow chart, there are some commonalities – unless you have a peat soil it will benefit from applications of compost, and I’m not just saying that because I’m a Master Composter! Organic matter (and compost is a great form of organic matter) is the best thing for improving soil structure, as it improves water storage- magically helping with drainage and water retention at the same time. 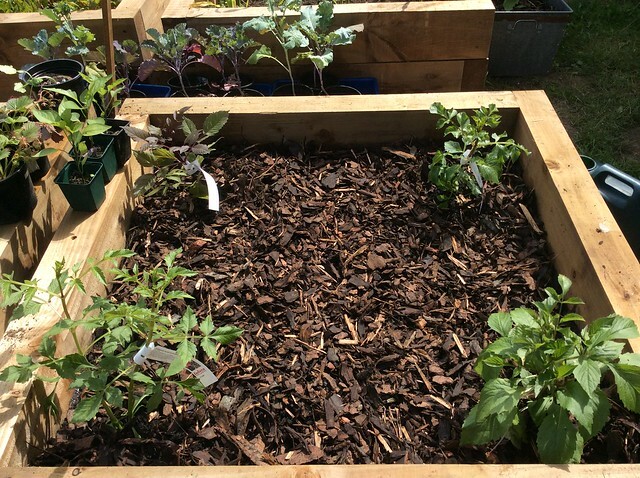 Gardening in beds, raised or not, is a great way of channelling your soil improvement efforts to where they’re needed most. And when you have availed yourself of the healing magic of compost and plant cover, the only other thing to do is accept the kind of soil you have and learn to live with its quirks. Your soil type is determined by the underlying rock in your area, and you can’t change that! Soil improvement is a topic I cover in The Peat-Free Diet, my book about how (and why) to garden without peat. Thank you for sharing this post, Emma. I’ve been reading your blogs for some time and your garden is looking amazing! I can’t wait to read your book once it’s published as I’m sure it will have a lot more brilliant tips and tricks similar to the soil flow chart (which I will definitely be using in the future!). Thanks Kevin! The book will be out very soon now 🙂 I’m just finishing the final proof today. Can’t wait, it’s so exciting! Glad you like the flow chart! It is very exciting! I presume you’ll tweet an update once the book is finally published so I will definitely be keeping an eye out for it! I have indeed tweeted 🙂 The Small Harvest Notebook Vol 1 is now out in paperback! Yay!